Steampunk! Zombies! Alternative civil war history! Southern Gothic via the graces of Eden Moore! 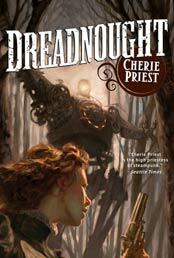 Cherie M. Priest has nine novels under her belt, with five more on the way. Why? Because she’s another over-achiever, like so many of the writers who’ve appeared in the drive-by series. She took time out to answer some randoms; please note, this did not interfere with her production schedule! Do not hate The Bones Remember Everything for this! (For other things, sure.) 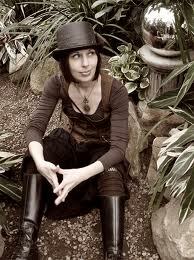 She is also an associate editor with the glorious-book-producing Subterranean Press. Tor has the good sense to be her main publisher, and Subterranean have done some of her beautiful collectable editions. … working with animals, or so I’d like to think. … add ghosts; delete excessively complicated side points. … when I realize that my browser history is nothing but Wikipedia. Donuts! Boston Cream from Krispy Kreme. I’d walk a thousand miles for a fresh dozen. 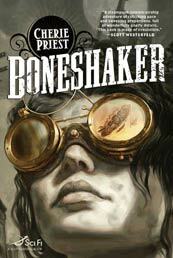 This entry was posted in Drive-by Interviews, News, On Writing: General and tagged boneshaker, cherie m priest, drive-by interview, eden moore, southern gothic, steampunk, subterranean press, tor books, zombie. Bookmark the permalink.